Huda Beauty announced last night that she has been working on a lot of new products as well as her reality TV show Huda Boss which airs via Facebook Watch. She teased on her Instagram stories that we would be seeing one of these products very soon and she wasn't wrong because her next story was a reveal! She showed us her Easy Bake Baking Powders, which is the next product set to be released as part of her hugely successful eponymous makeup line. 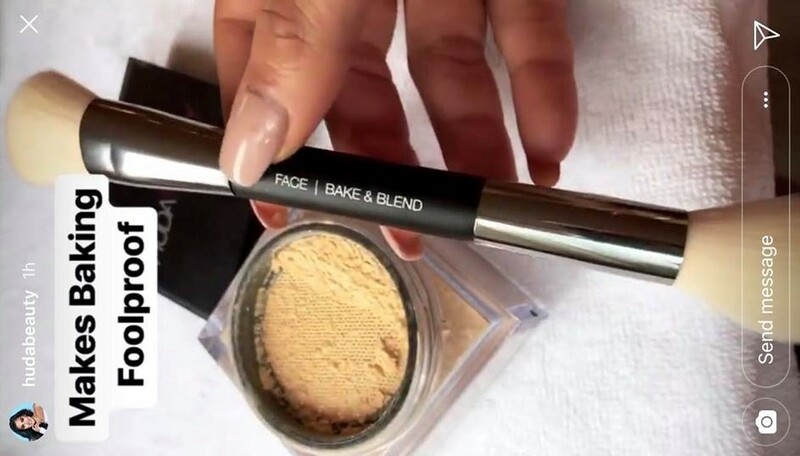 Baking is a makeup hack that Huda credits for changing her own makeup game drastically and she claims she worked hard to perfect this powder to make it the perfect under eye baking powder. The exterior packaging looks quite simple, and dare I say it plasticy, which is reminiscent of the early Huda Beauty Rose Gold Palette. I do wonder if with time she will improve the packaging but as I don't have it in front of me it could very well be luxurious as all get out. 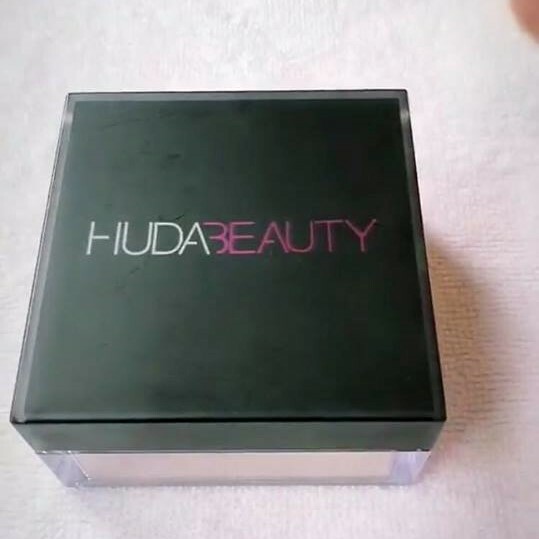 Plain black lid with the Huda Beauty branding. Below you can see the netting inside which is placed to reduce the mess you inevitably get with baking powders. Makeup is a messy business. The shade she teased specifically was called Banana Bread, and what a cute name that is. All of the shade names have a bakery theme which I think is adorable. It reminds me a little of Beauty Bakerie and their Flour Setting Powders, the concept is cute perhaps not all that original. I just hope the alliteration of Banana Bread is seen throughout the shade range, because then my Year 10 English Literature heart will rejoice. In total, there will be 8 shades for all skin tones which I think is quite inclusive but again you can't really tell until you have it in front of you. For me, the banana powder would probably the most Indian girl friendly. 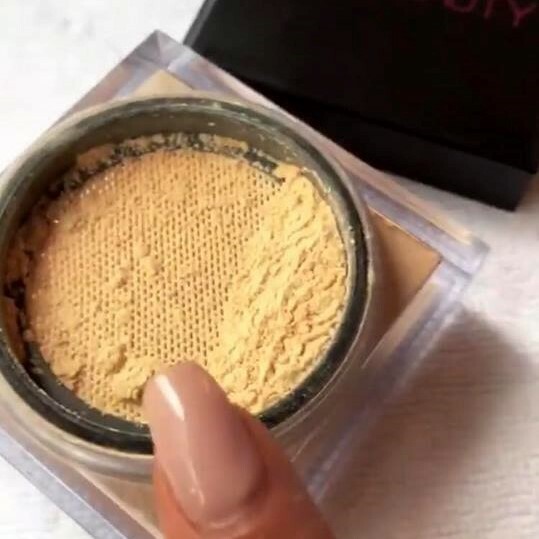 Huda does say that although it has that brightening lifting effect that you want from an under eye powder you can absolutely use it to set the rest of your face as well, just use a lighter amount of course. In addition to the 8 Easy Bake Powders, there is also a Bake & Blend dual ended makeup brush to help consumers bake to perfection. She says in her stories that a lot of people find baking quite intimidating and it is her desire to make it as easy as possible and she does believe it is the secret to flawless makeup. I always roll my eyes a little at comments like that and Kim Kardashian's that contouring needs to be consumer friendly. I struggle to see the difficulty as both contouring and baking seem quite self-explanatory to me, what we really need is a foolproof way to apply lashes. Call me when someone has figured that out. These new products will be available on July 2nd 2018 (which also happens to be my Dad's birthday), as of yet no price has been announced but I imagine it will be around £25. I will update this post when more information surfaces. Thank you so much for reading, I actually had a review to post today but when I saw this news I felt like I had to post about it. 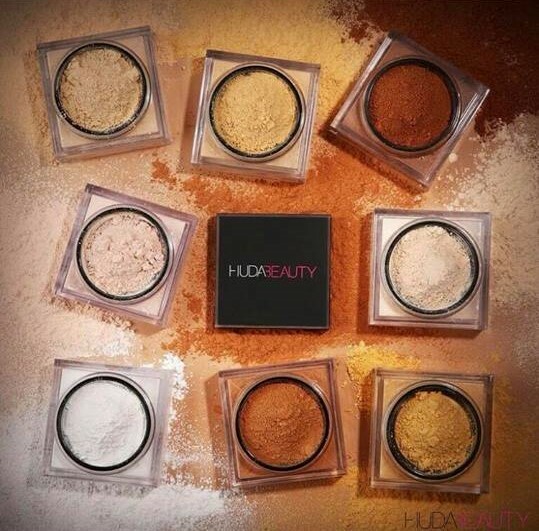 Please leave a comment below about your thoughts on these powders. Take care. What do you think about these powders and are you a fan of "baking"?